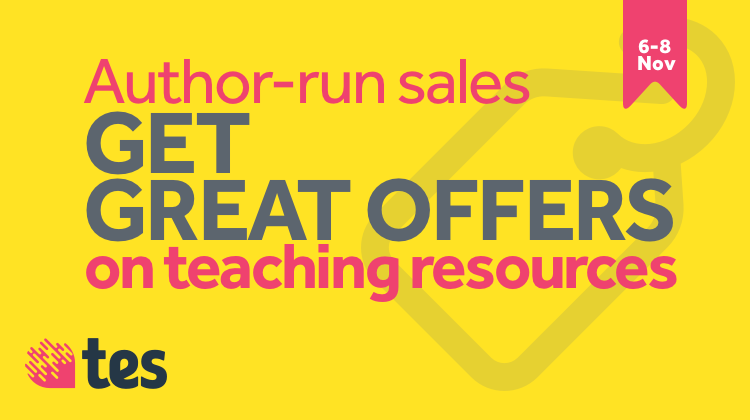 Are you looking for great offers on teaching resources this November? Don't miss this fantastic opportunity to pick up a bargain. 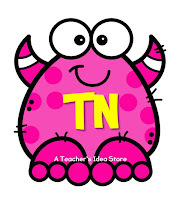 Come visit my store for resources that were created with both the teacher and students in mind. 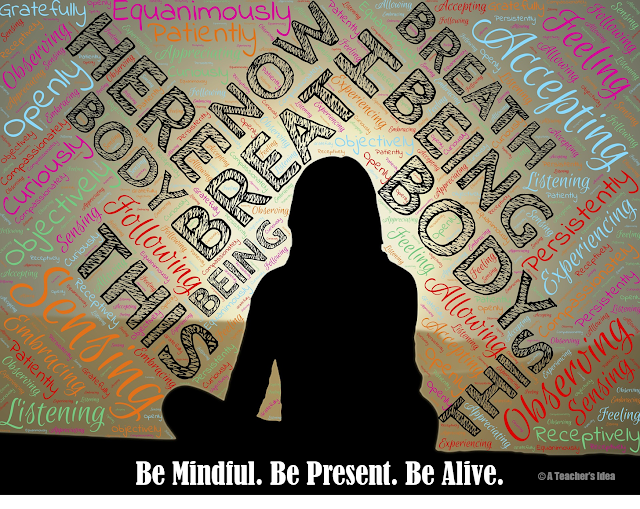 Why not give yourself a break and take this opportunity to save as much as 10% on any of my discounted resources? 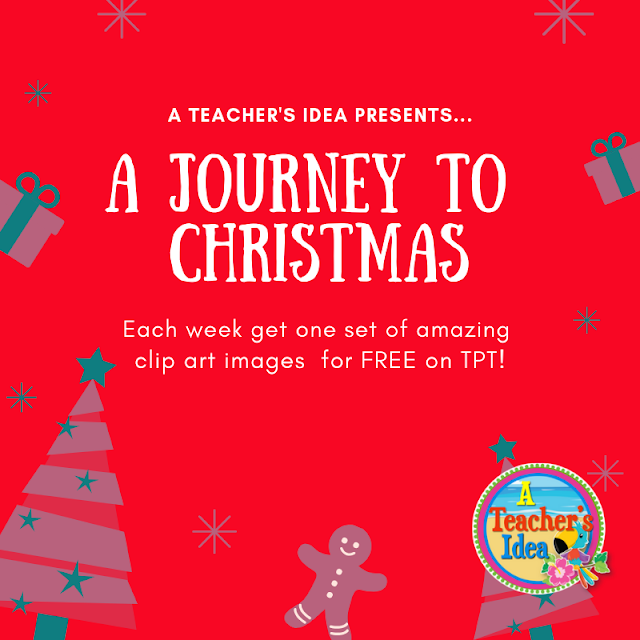 Simply click HERE to get started on TES! 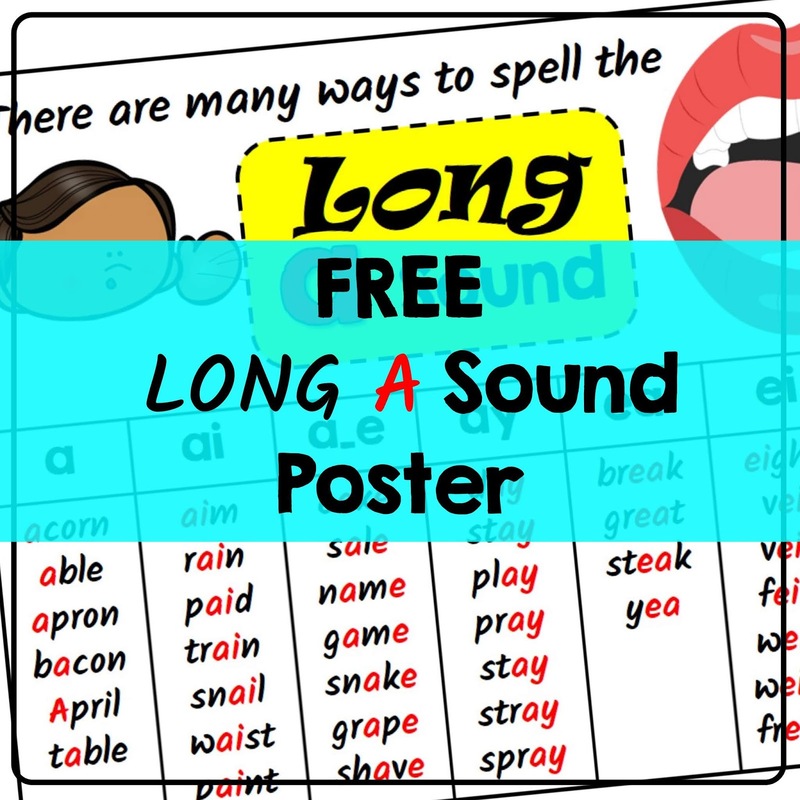 This is a poster that I created for my grade 4 students to review the different ways that the long sound of a can be represented in words. 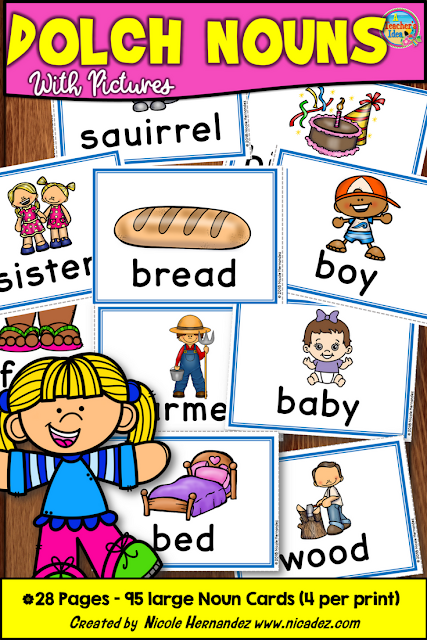 This idea came about as we were working on the spelling of words with /ei/ and /ie/. I think that it is a smart idea to go back to the basics to guide them into learning this often difficult concept. You can print them as posters or they make the review sheet for students notebooks. 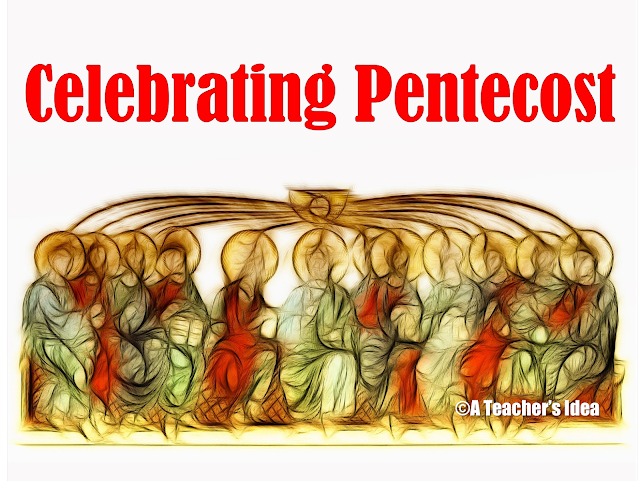 Simply click the picture below to be taken to the free resource. 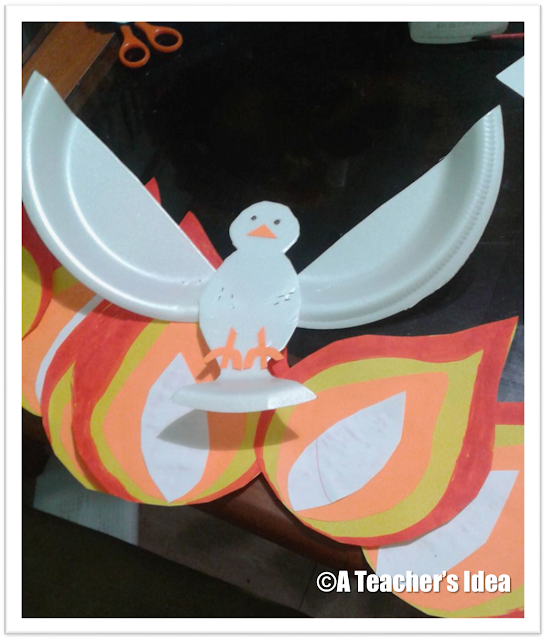 Our class is learning all about agricultural technologies this term. One of the topics that we explored is the use of controlled technologies in plant production. I was completely fascinated by the idea of growing plants in low water conditions. In this case the self-watering system stood out as a simple yet very effective way of utilizing what little water there is available. A self-watering system consists of two parts. An outer container that holds the water and an inner container that holds the plant and soil. A wick is used to join the parts together. 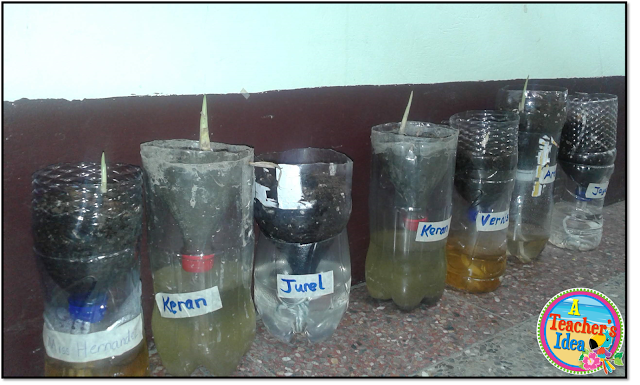 The wick allows water to move upwards into the soil (capillary action) from the reservoir when needed. 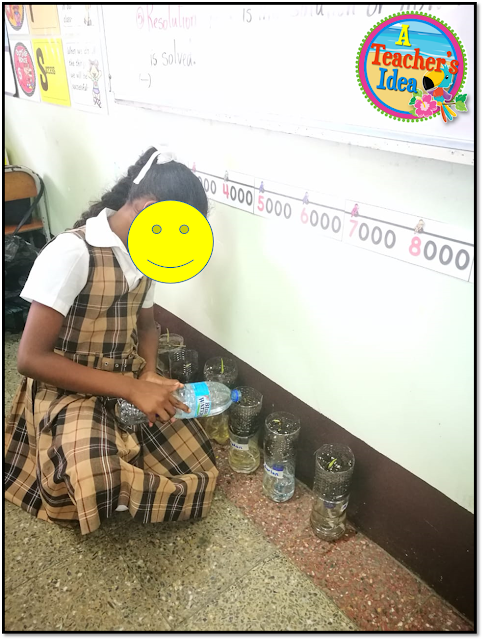 A self-watering system is beneficial for people who may be away for a few days because the plant does not require daily watering but instead gets its own water from the reservoir underneath it. 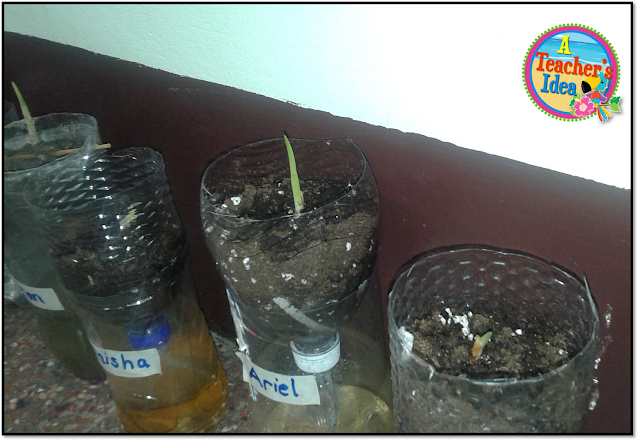 In the pictures below, we planted turmeric rhizomes which I had sprouting on my kitchen counter top. Instead of discarding them I decided that we would use the rhizomes in our own self-watering planters. 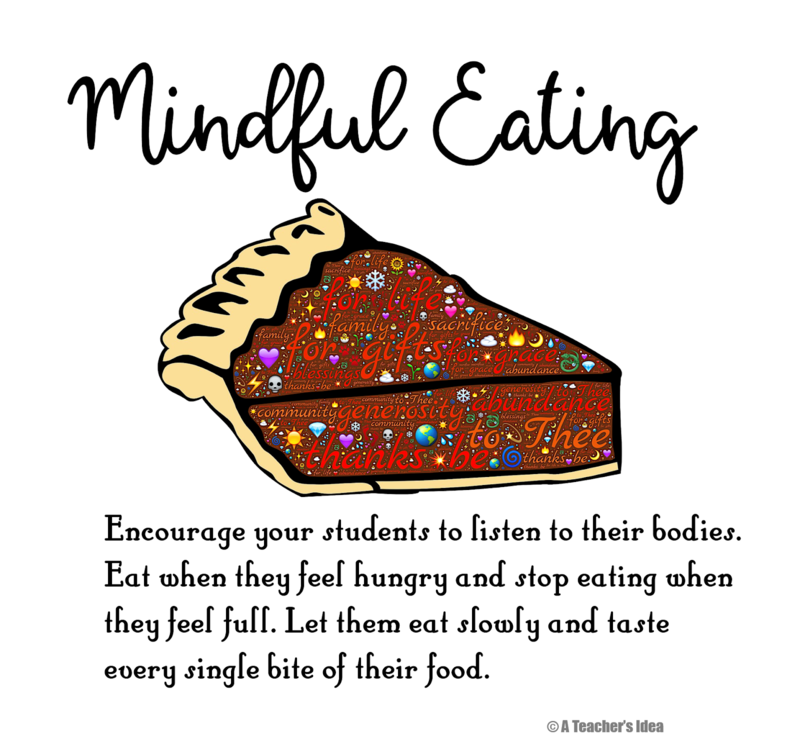 We will monitor their growth daily and each student will make the necessary notes in their journals. I plan to let them take the plants home after 4 weeks so that they can transplant their young plants to their own backyard. Take a look at this video which demonstrates how to make your own self-watering planter. 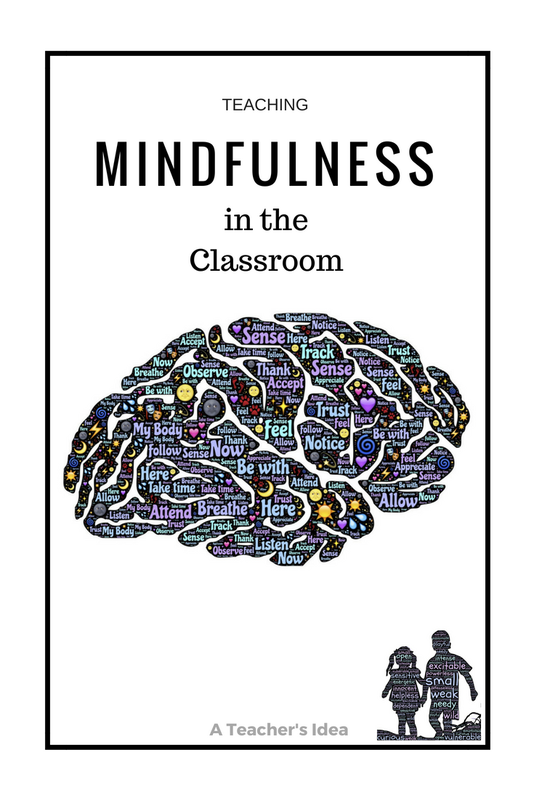 Are you transforming your classroom into a comfortable learning space where seating options vary? If so, then I'm sure that you are looking for flexible seating clip art to create your own classroom anchor charts. 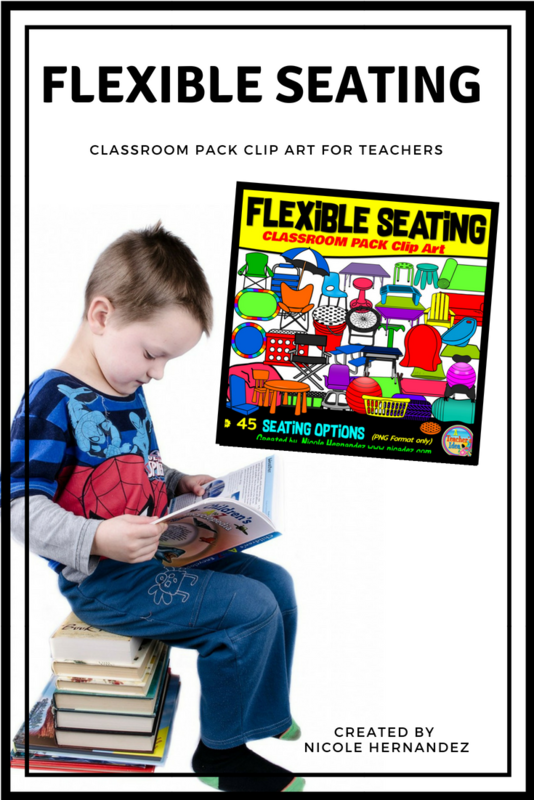 I created lots of flexible/alternative seating clip art images just for you! 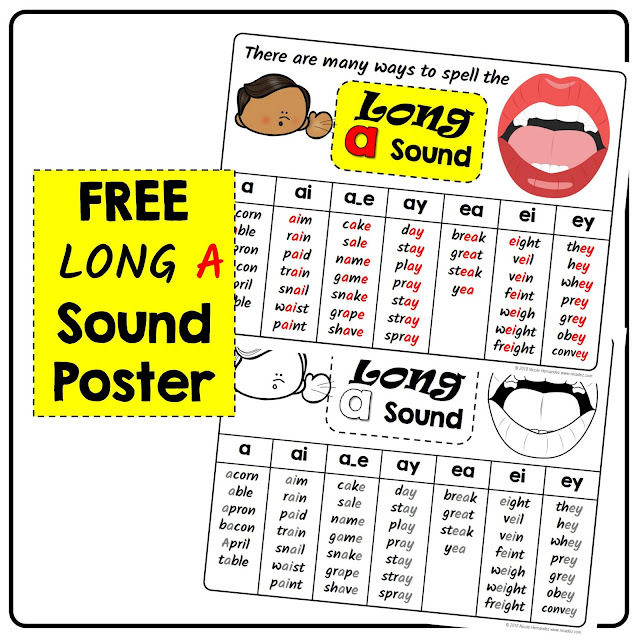 These images can be used to create anchor charts, seating charts, posters and plans for easy student reference. 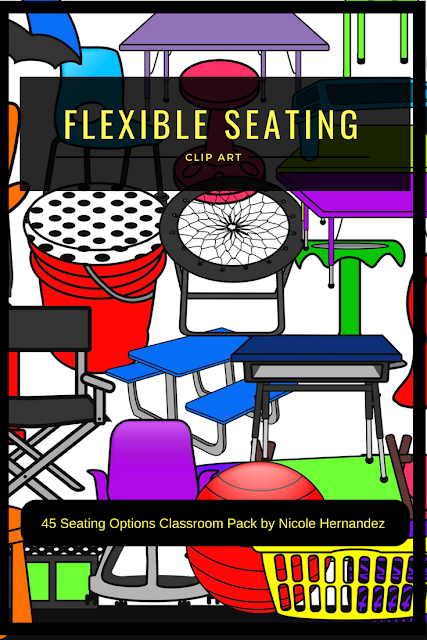 This set contains each of my flexible seating clip art (45 seating options) for creating flexible seating resources that pop!. 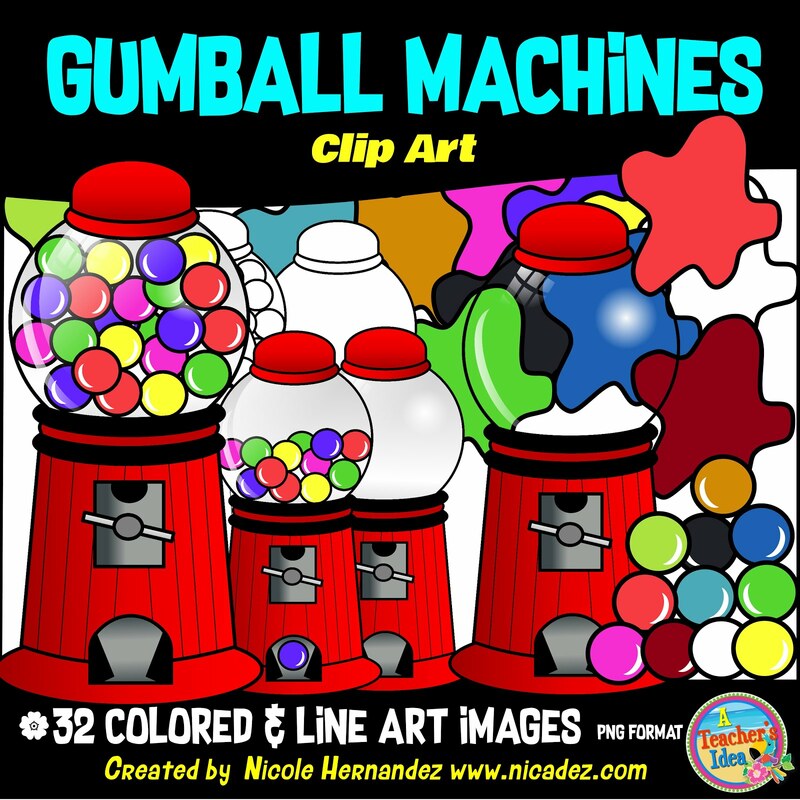 All images are original and created by Nicole Hernandez. 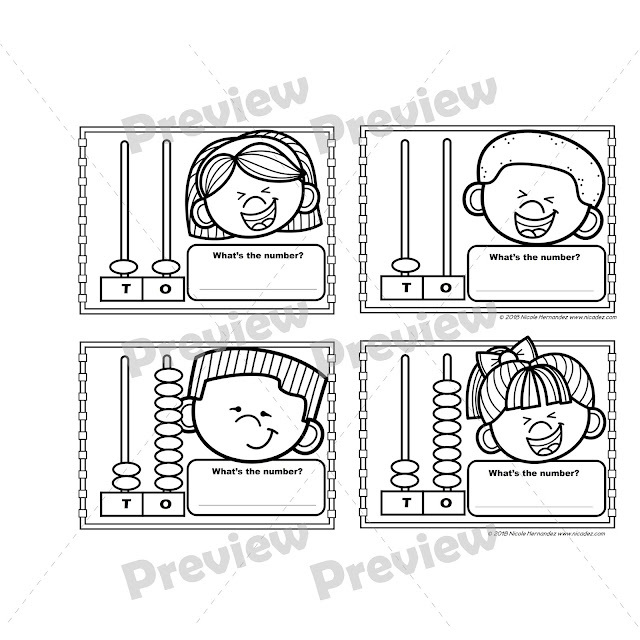 I included line art versions which means you are getting a total of 90 images. The cover shows exactly what you would get at purchase. 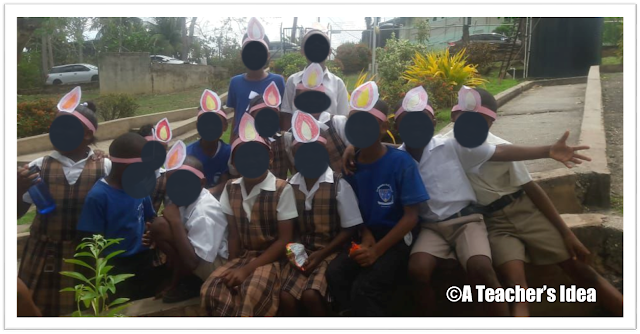 All images are saved in PNG format (transparent background ONLY) to ensure high quality and sharp printing even when enlarged. 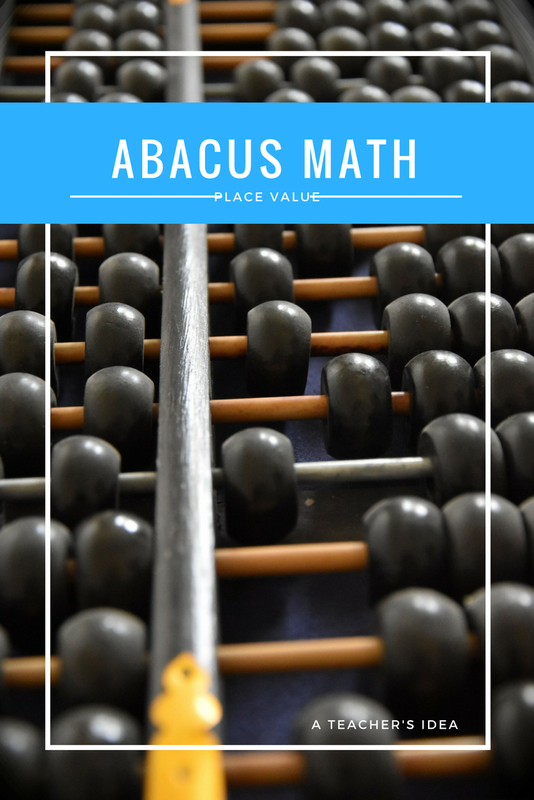 An abacus is an excellent resource for helping your students understand the concept of place value at any level. It can help them visualize the meaning of the places and internalize the grouping strategy behind it. 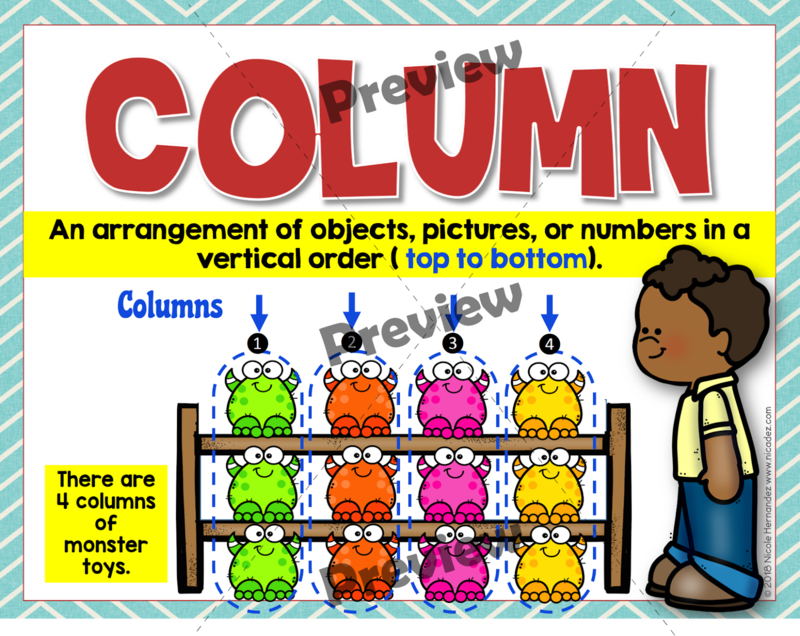 An abacus shows clearly the two columns, ones (units) and the tens which students can manipulate themselves until they can completely internalize this concept. I have created a 2D set of place value mat and abacus cards to help with the translation from the concrete to the iconic stage of learning for students. 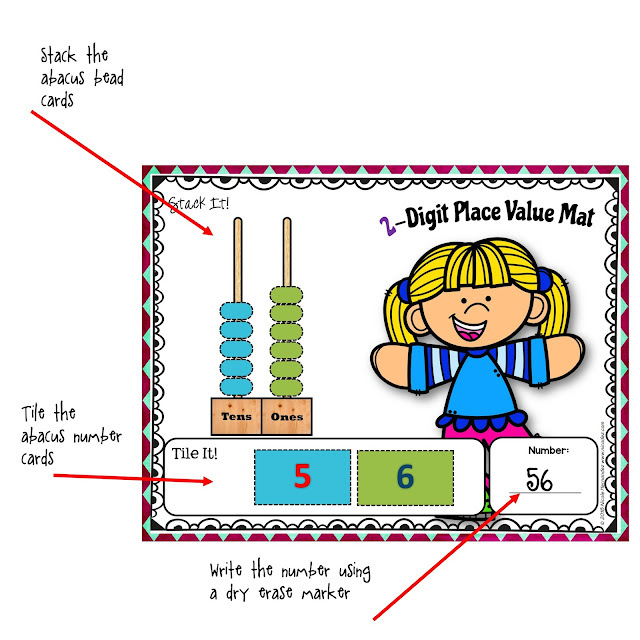 This is a set of abacus cards and mat for students to show the place value of tens and ones. 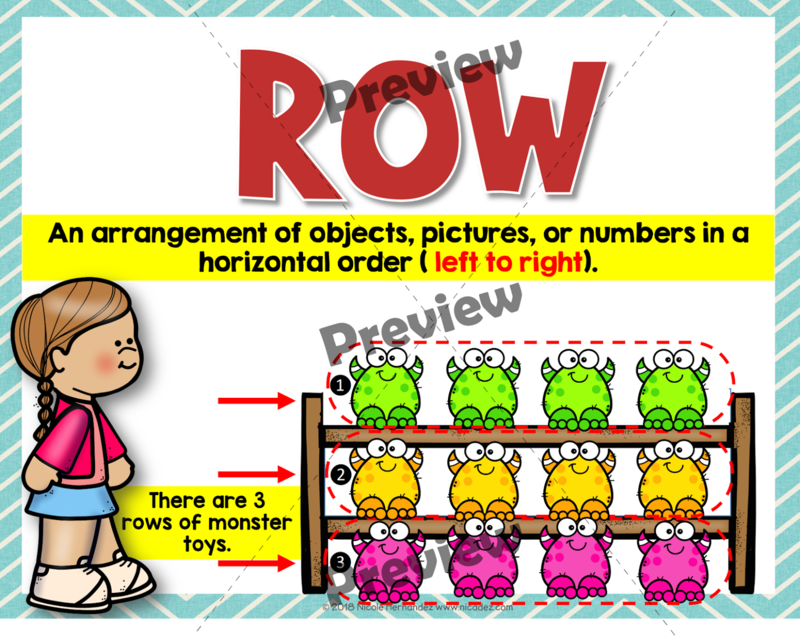 Simply print and laminate the 2-digit number cards, abacus beads and the place value mat. 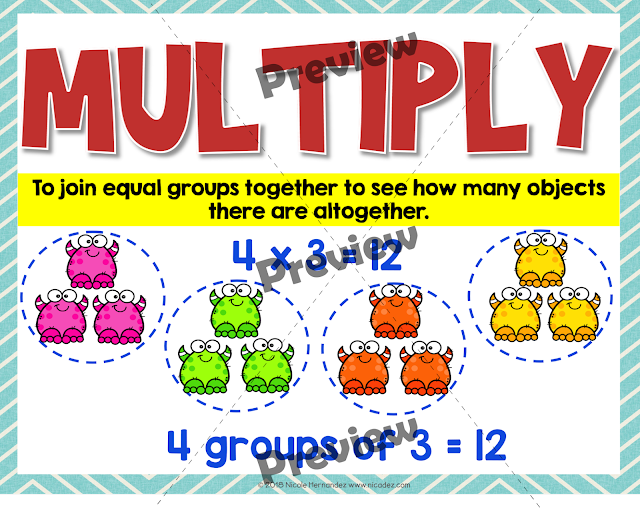 Cut out the individual pieces and store in a ziploc bag. Also included are abacus task cards for number writing practice. 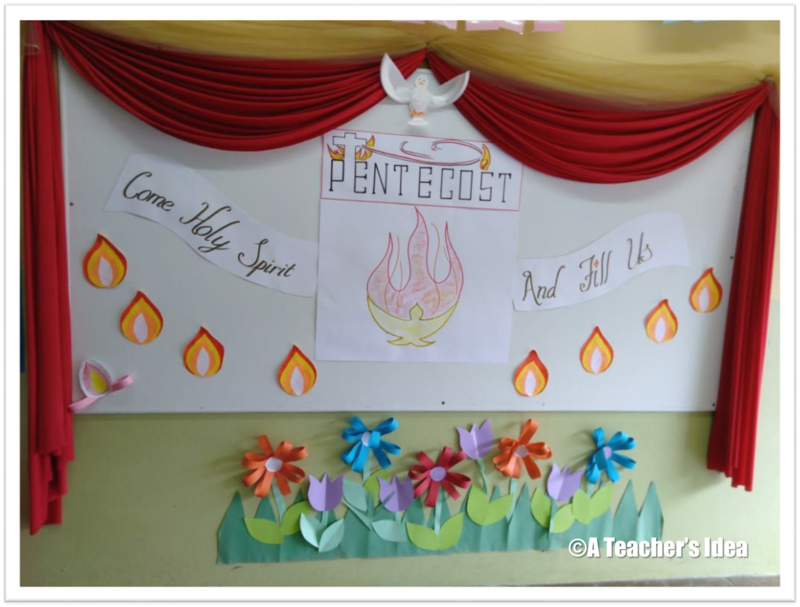 You can check them out further by clicking any of the pictures above. 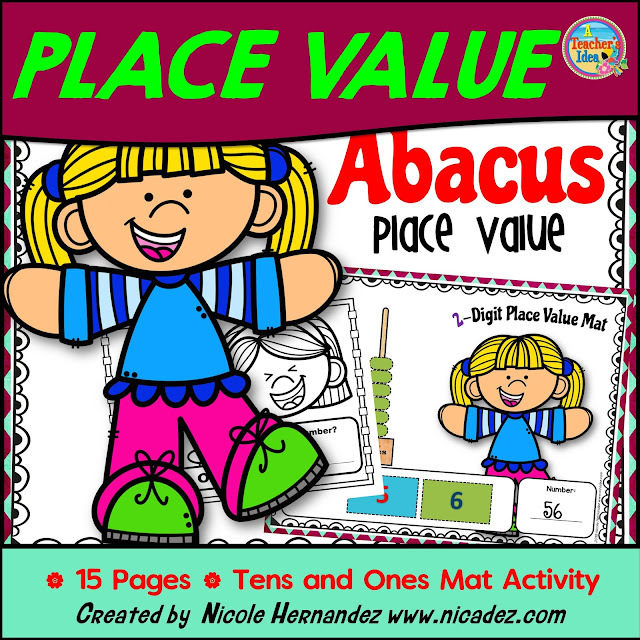 Check back often for more Abacus place value resources for the different levels. I just completed my multiplication posters for helping students to grasp this concept. These display posters feature kid-friendly graphics to illustrate your teaching on this topic. 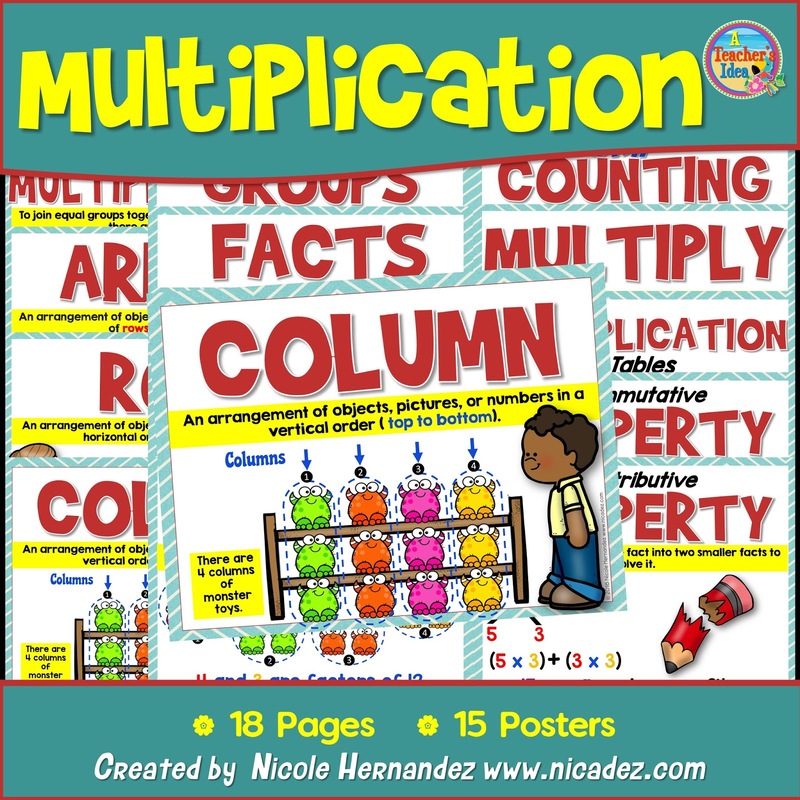 Great for enhancing your classroom, for general display, or as discussion prompts, this pack supports teaching the basics of the multiplication concept and strategies for young learners. 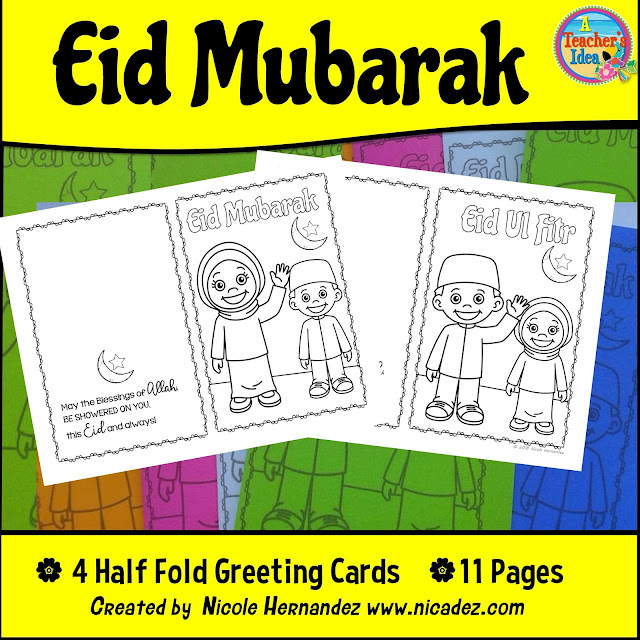 To purchase this file, head to either of my shops by clicking the buttons below! 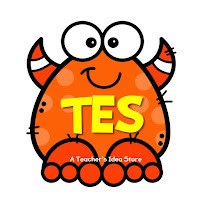 Are you a first time buyer on TES Resources? 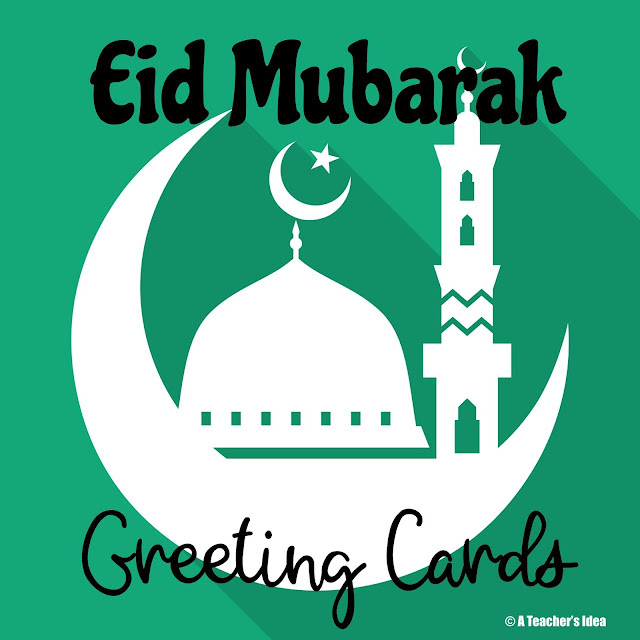 If you are then here's a heap of savings for you. 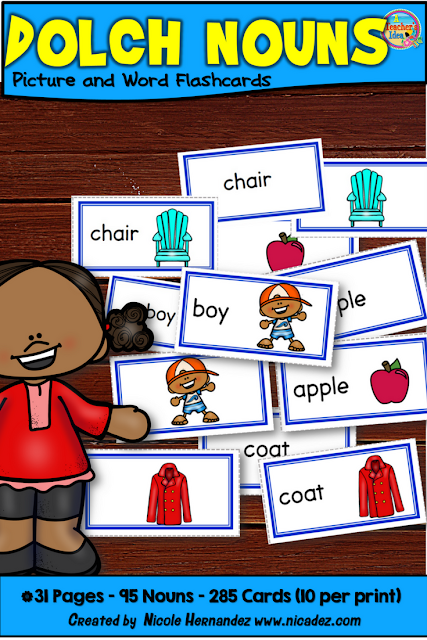 For the month of March you can get 60% off your first purchase worth up to US$14/A$18 or the equivalent in UK pounds. 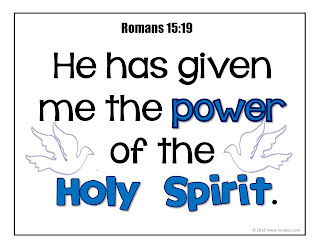 Yes, it's true! 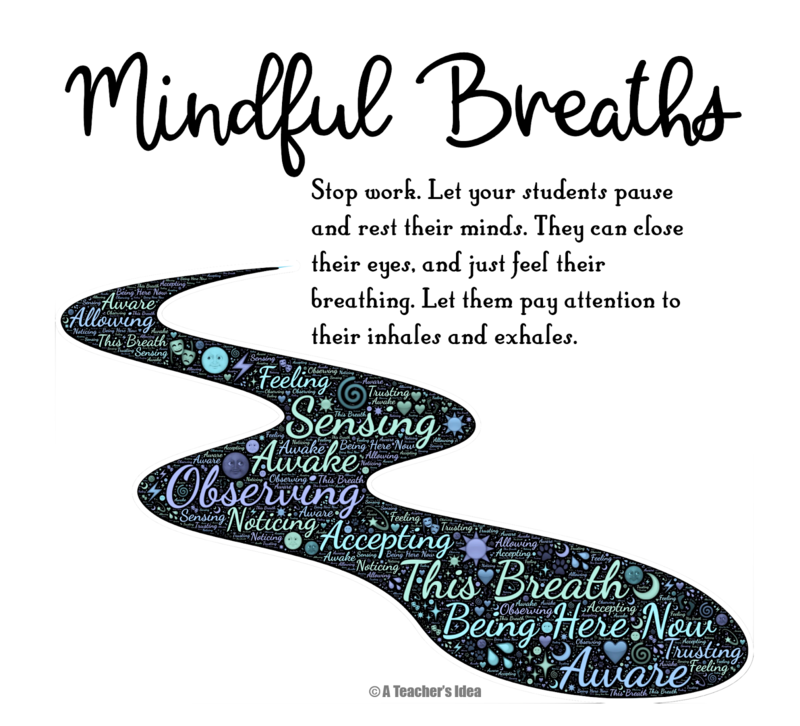 Now is the time to march into saving opportunities and get your much needed teaching resources. You can start by checking out my shop which has over 400 fun favorable resources. 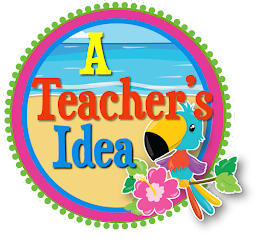 Go to A Teacher's Idea TES Store now! You can use the search interface to find what you need! Happy shopping! 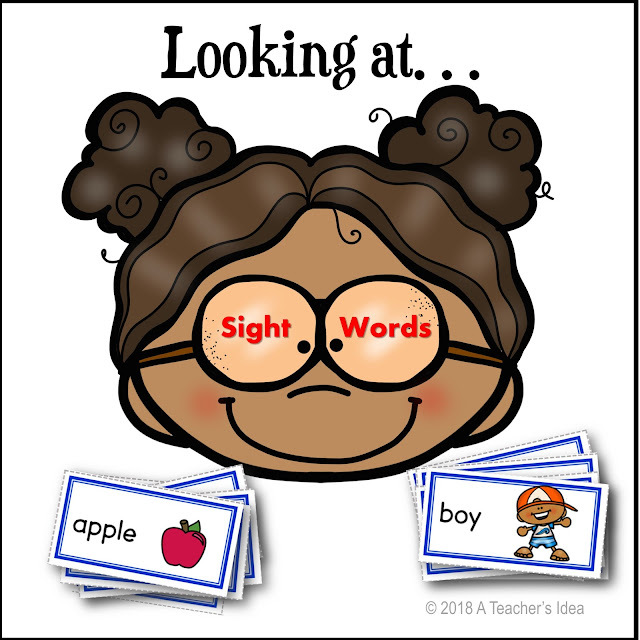 Check out my growing list of resources that I think you must have to make sight word learning for your students both fun and meaningful! 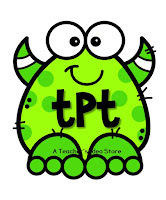 I was featured in the TpT BLOG!! 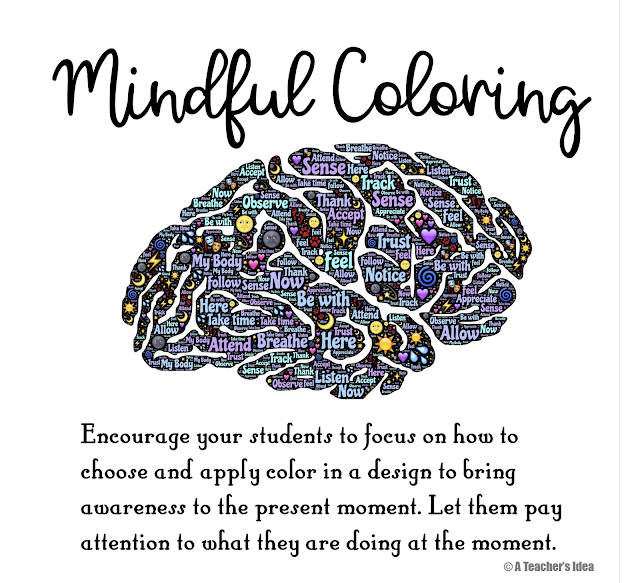 This was featured in the TPT BLOG in the opening comments for the 100TH DAY OF SCHOOL today!! 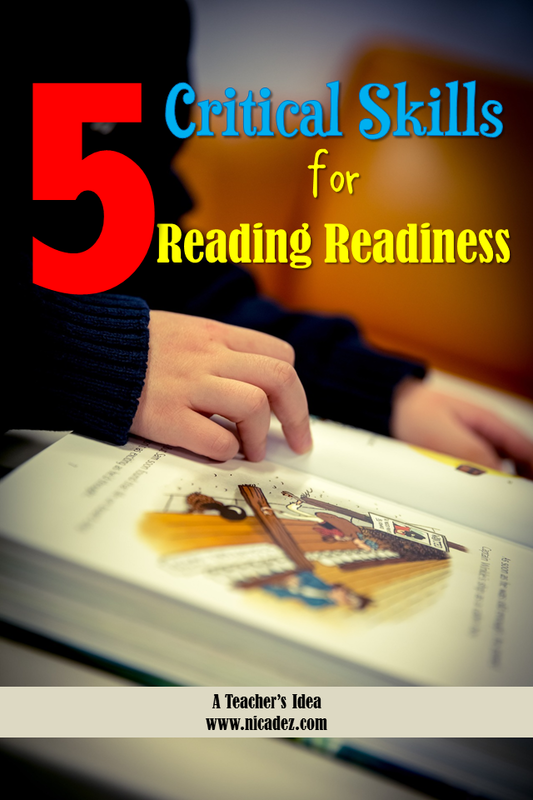 Here is another mini book to get your kiddos going. 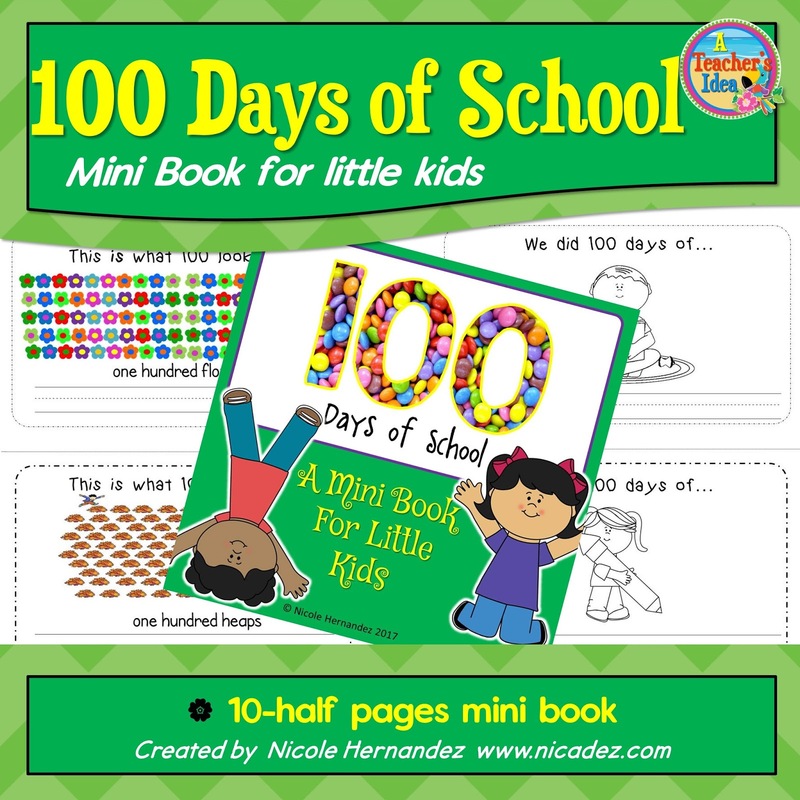 It's a great little keepsake for your kids to celebrate 100 days of school and the 100th day of school. 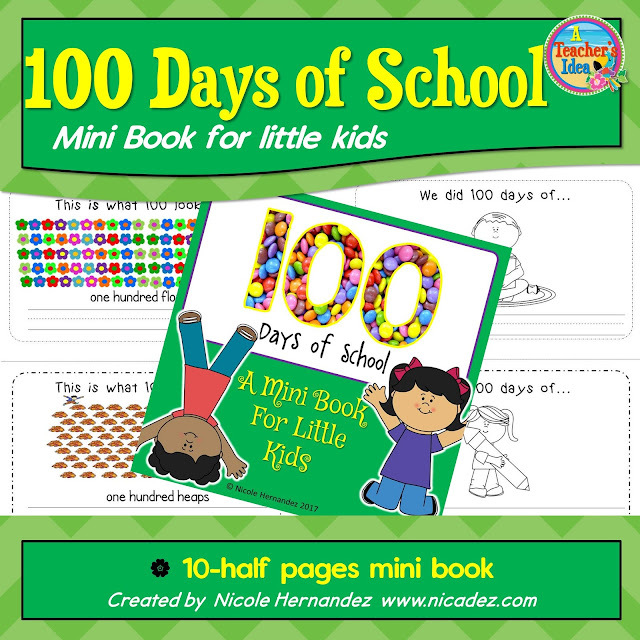 This 10-page book (half pages) consists of 4 colored pages (including the cover) and 6 pages are in black and white. 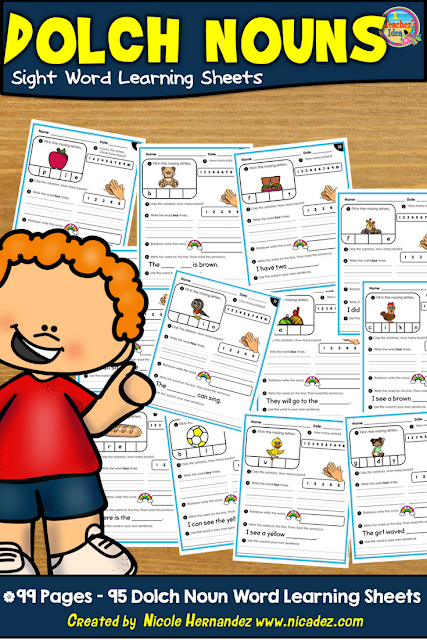 There is a writing activity included at the bottom of each page.